With a stay at Kamares Apartments, you'll be centrally located in Santorini, a 1-minute drive from Santorini Caldera and 11 minutes from Kamari Beach. 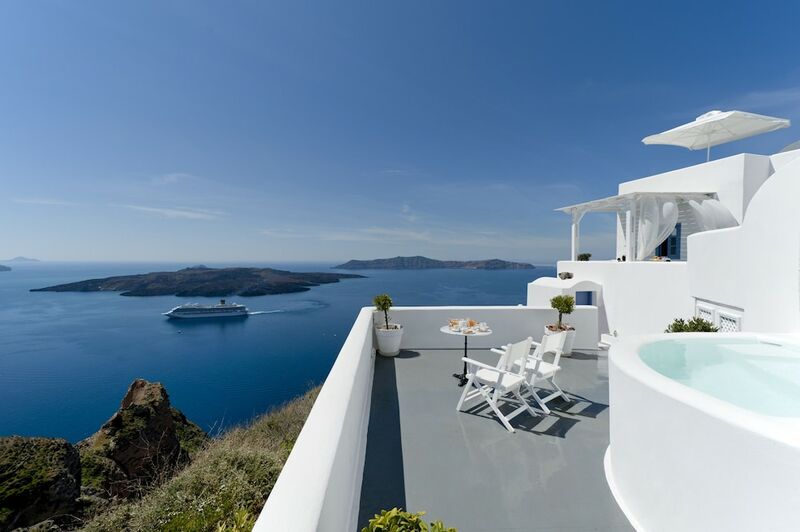 This hotel is 5.6 mi (9 km) from Athinios Port and 8.1 mi (13.1 km) from Ancient Thira. Make yourself at home in one of the 8 air-conditioned rooms featuring refrigerators. Rooms have private furnished balconies or patios. Complimentary wireless Internet access keeps you connected, and satellite programming is available for your entertainment. Bathrooms have complimentary toiletries and hair dryers. A complimentary continental breakfast is served daily from 8:00 AM to 10:30 AM.